Making the couple’s dream come true is our favorite part of planning a wedding. We really do care. This is not just our job; it’s also our passion to make this one of the happiest days of your life. 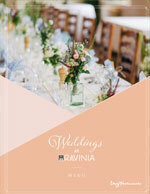 The newlyweds can dine on scrumptious fare by Levy Restaurants at Ravinia, dance, and share their joy leisurely, without having to worry about one detail of service, while feeling confident that everything is under control. Everyone loves a great event. 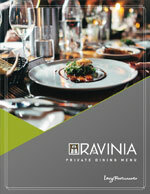 At Ravinia we know just how special every event is and work hard to ensure every single moment is memorable. 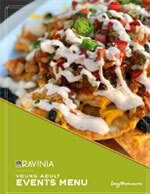 Partner with our catering pros at Levy Restaurants and we can have every desire met. We invite you to be a guest at your own party.